Update to There is good cause for Americans to be alarmed and highly critical of Israeli Prime Minister Benjamin Netanyahu. Israel’s attorney general announced Thursday that his office plans to indict Prime Minister Benjamin Netanyahu on corruption charges after a two-year investigation. The prime minister faces one count of bribery and three counts of breach of trust. “The Attorney General, Avihai Mandelblit, has informed the Prime Minister, Mr. Benjamin Netanyahu, through his attorney, that he is considering indicting him on several criminal charges,” according to a statement by Ministry of Justice spokesman Adi Livni. Prosecutors would have to go forward with a pre-indictment hearing before Netanyahu is formally charged. “It should be noted that the decision regarding an indictment is not yet final, since the Attorney General will offer to conduct a pre-indictment hearing before reaching any final decision, according to Israeli law,” according to Livni’s statement. 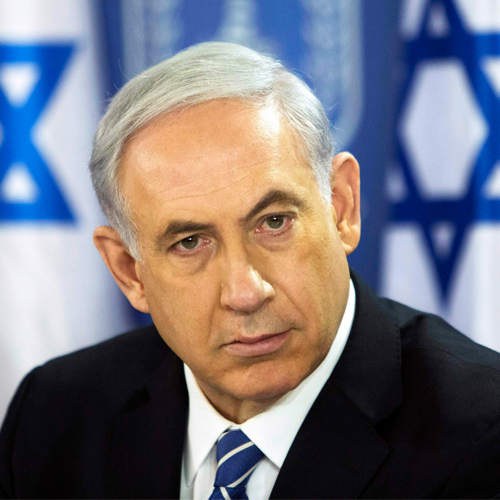 Americans concerned about Israel should be talking about a corrupt Benjamin Netanyahu who has made an unholy alliance with racist far-right political parties in Israel to try to maintain his decade-long stranglehold over Israeli politics. The electoral defeat and removal from power of the corrupt Benjamin Netanyahu and the racist extremist coalition he has assembled should be a foreign policy and national security priority of the United States. In the GOP framing, any criticism of Israel, in particular any criticism of their favorite far-right but corrupt Israeli Prime Minister Benjamin Netanyahu, The Corruption Cases Against Netanyahu Explained, is the equivalent of being anti-semitic. Certainly the sovereign State of Israel and its government can be legitimately criticized just like any other country or government in the world. Criticism of particular Israeli actions or policies – even harsh and strident criticism and advocacy – in and of itself does not constitute anti-Semitism. There is good cause for Americans to be alarmed and highly critical of Israeli Prime Minister Benjamin Netanyahu as Israel approaches an election on April 9. There has been a knee-jerk reaction to comments made by Rep. Ilhan Omar that have been misreported by a number of news outlets to portray her in the worst possible light. Some of this is no doubt related to virulent anti-Muslim bigotry in the conservative media. Chris Hayes did a segment on this last night on All In With Chris Hayes that I highly recommend you watch. What Ilhan Omar really said about Israel. For the record, Rep. Ilhan Omar has been equally critical of the corrupt government of Saudi Arabia, which the Trump administration has refused to punish for the murder of Washington Post reporter Jamal Khashoggi, in defiance of Congress, and continues to try to sell nuclear weapons technology to Saudi Arabia. House Opens Inquiry Into Proposed U.S. Nuclear Venture in Saudi Arabia. There’s the real scandals which should concern you. 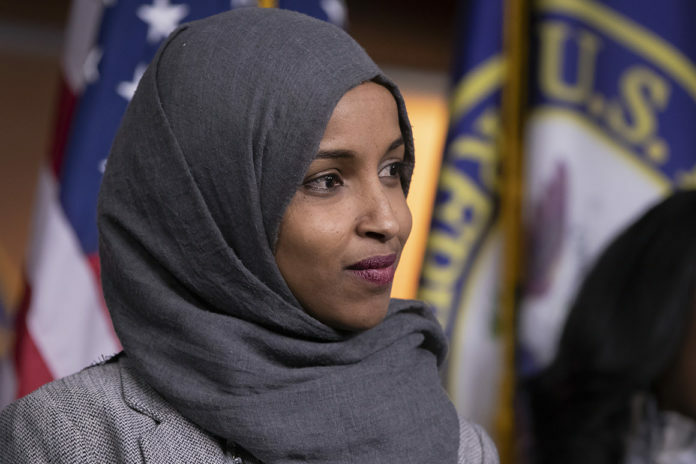 A vote on a resolution condemning anti-Semitism in response to controversial comments by Rep. Ilhan Omar is set to slip past Wednesday amid intensifying pressure from the left both inside and outside the House Democratic Caucus. An array of progressive groups declared their support for Omar, while both the Congressional Black Caucus and Congressional Progressive Caucus — two of the most important factions among House Democrats — wanted more time to review the situation, lawmakers and aides said. Speaker Nancy Pelosi (D-Calif.) and House Majority Leader Steny Hoyer (D-Md.) said in a closed-door meeting Tuesday that the vote would likely happen Thursday. They also said a draft resolution would be updated to include additional language rejecting anti-Muslim bias, although some Democratic sources believe that an entirely new document might be crafted. What is clear, however, is that the furor over Omar’s remarks — the second time in two months the Minnesota Democrat has made comments that were condemned by her own colleagues as anti-Semitic — is threatening to overshadow everything else happening in the House. In what is surely the most shameful decision of her current term as speaker, Nancy Pelosi (D-Calif.) has decided that the time has come for the House to rebuke Rep. Ilhan Omar (D-Minn.) for things she didn’t actually say, and ideas she didn’t actually express. In the process, Pelosi and other Democrats are helping propagate a series of misconceptions about anti-Semitism, Israel, and U.S. political debate. I’m going to try to bring some clarity to this issue, understanding how difficult it can be whenever we discuss anything that touches on Israel. To be clear, I do this as someone who was raised in an intensely Zionist family with a long history of devotion and sacrifice for Israel, but who also — like many American Jews — has become increasingly dismayed not only by developments in Israel but by how we talk about it here in the United States. So let’s talk about this idea of “dual loyalty,” and how it does and doesn’t relate to Omar’s comments. For many years, Jews were routinely accused of having dual loyalty, to both the United States and Israel, as a way of questioning whether they were truly American and could be trusted to do things such as serve in sensitive national security positions. That charge was anti-Semitic, because it was used to allege that every Jew was suspect, no matter what they thought about Israel, and that they could not be fully American because they were assumed to have too much affection for another country. It wasn’t about the particulars of U.S. policy or what Jews at the time were advocating; it was about who they (allegedly) were, their identity. 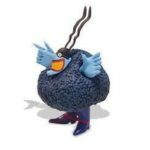 Now, back to Omar. Here’s the truth: The whole purpose of the Democrats’ resolution is to enforce dual loyalty not among Jews, but among members of Congress, to make sure that criticism of Israel is punished in the most visible way possible. This, of course, includes Omar. As it happens, this punishment of criticism of Israel is exactly what the freshman congresswoman was complaining about, and has on multiple occasions. The fact that no one seems to acknowledge that this is her complaint shows how spectacularly disingenuous Omar’s critics are being. You may have noticed that almost no one uses “dual loyalty” as a way of questioning whether Jews are loyal to the United States anymore. Why has it almost disappeared as an anti-Semitic slur? Because, over the last three decades, support for Israel has become increasingly associated with conservative evangelicals and the Republican Party. Not coincidentally, this happened at the same time as the American Israel Public Affairs Committee, or AIPAC, the most prominent and influential pro-Israel lobby, went from supporting Israel generally to being the lobby in the United States for the Likud, Israel’s main right-wing party. While AIPAC works hard to keep Democrats in line, its greatest allies are in the GOP, where support for Israel and a rejection of any meaningful rights for Palestinians have become a central component of party ideology. When the most prominent advocates for Israel are people such as Mike Huckabee and Sarah Palin, “dual loyalty” loses any meaning as a slur against Jews. The idea that taking issue with support of Israel means one is necessarily criticizing Jews as Jews ignores the last few decades of political developments around the United States’ relationship with Israel. “Supporters of Israel” hasn’t been a synonym for “Jews” since the 1980s. I have to repeat this: In the United States today, a “supporter of Israel” is much more likely to be an evangelical Christian Republican than a Jew. Ilhan Omar certainly didn’t say that Jews have dual loyalty. For instance, in one of the tweets that got people so worked up, Omar said, “I should not be expected to have allegiance/pledge support to a foreign country in order to serve my country in Congress or serve on committee.” You’ll notice she didn’t say or even imply anything at all about Jews. She said that she was being asked to support Israel in order to have the privilege of serving on the House Foreign Affairs Committee, which was true. Many on the right have called for her to be removed from that committee (see here, or here, or here, or here). Her argument, to repeat, isn’t about how Jews feel about Israel, it’s about what is being demanded of her. And here’s the ultimate irony: Dual loyalty is precisely what AIPAC demands, and what it gets. Again, it makes this demand not of Jews, but of every member of Congress, and even of politicians at the state level whom you wouldn’t think would be conducting foreign policy. And it is working. Take, for instance, the wave of state laws passed in recent years in opposition to the Boycott, Divestment, and Sanctions (BDS) movement, in which a state would refuse to do business with anyone who supports BDS. In some cases, those laws require that contractors sign a document promising not to support any boycott of Israel. It’s illustrated by the case of a speech pathologist in Texas who sued over a requirement that she sign such a pledge to work in a public school district. That is literally a demand that she pledge her loyalty to Israel. She’s not Jewish, and the officials who demanded that she do so aren’t either; the Texas Republican Party is not exactly an organization dominated by Jews. When Gov. Greg Abbott (R) — also not a Jew — proclaims that “Anti-Israel policies are anti-Texas policies,” he’s expressing his dual loyalty. Yet, when Omar says she shouldn’t have to do the same, everyone jumps up to accuse her of anti-Semitism, on the bogus grounds that 1) //she is secretly referring to Jews and not to what she is being asked to do; and 2) it’s some kind of anti-Semitic smear to even raise the issue of people being asked to promise their allegiance to Israel, when the truth is that members of Congress are asked to do just that. When this episode is over, Omar and everyone else will have learned a lesson. You’d better not step out of line on Israel. You’d better not question AIPAC. You’d better not criticize members of Congress for the craven way they deal with this issue. You’d better not talk about how policy toward Israel is made and maintained. Because if you do, this is what you’re going to get. The problem is that while this is a joyful event for the small group of faithful Christians who are raptured, it spells disaster for members of other religions. “None of this is good news for the people who live in and around Jerusalem, who amount to pawns in this end-time scenario. The suffering of Arab peoples is taken for granted, while Jews take the brunt of this final ‘great tribulation.’” Carey observed that Jeffress himself thinks that Jews will not be saved without first converting to Christianity. The support of the state of Israel, therefore, should not be misconstrued as unwavering support for the religious rights of Jews; at the end of time Jews must convert or die. And these religious cultists want to pass judgment on Rep. Ilhan Omar? I don’t think so. What if Trump Wins a Second Term? The most recent attacks on Representative Omar are based on her answer to a broad question about anti-Semitism during a recent town hall meeting at Busboys & Poets in Washington, DC. I was there, sitting just a few feet from Omar, asking a question during the Q&A. She never said that Jews have dual loyalty. She never expressed “prejudicial attitudes” or supported “discriminatory acts” against Jews or anyone else. I’m Jewish. I’ve worked against anti-Semitism, in the context of working against white supremacy, racism, xenophobia, Islamophobia, and beyond, for decades. And I heard nothing—nothing—that smacked of anti-Semitism, overt or coded or otherwise. Ilhan Omar simply didn’t say it. REad this op-ed written by Shimon Peres’ granddaughter. why does criticizing Israel makes you an antisemite?